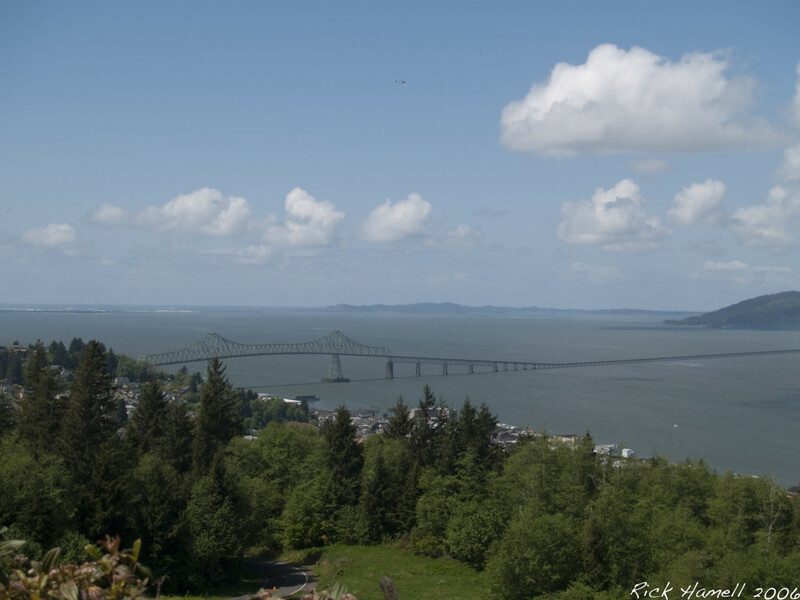 The Astoria-Megler Bridge is probably the single most dominate feature in Astoria Oregon, and probably the most beautiful bridge across the Columbia River. It crosses the river close to the mouth of the river. It’s built high enough that most ships can get under it, although some do have to wait for low tide to do so. Some, like the USS New Jersey when it visited Portland’s Rose Festival in 1990 have to take further action by removing masts and antenna. This view from on top of the nearby hill gives a better scope of it’s full dimensions. The bridge is 4.1 miles long, making it a behemoth by any standard. Construction was started in 1962 and took just under 4 years to complete. It was built to replace the slower, and more prone to weather, ferry that had been plying the same route across the river for decades. The bridge was originally a toll bridge, but it was paid off three years early. It is now free to cross both ways! 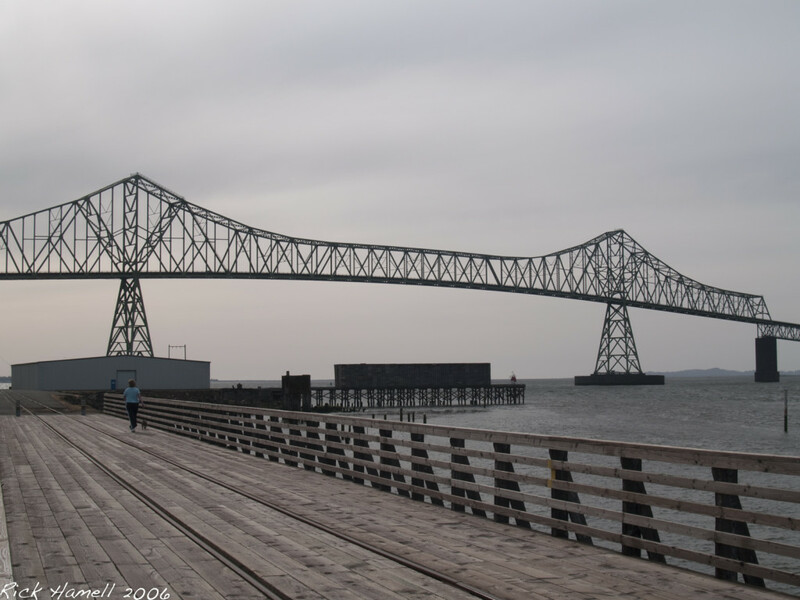 The south end of the bridge starts in the Astoria’s Uniontown Neighborhood and ends just a few hundred feet from the old Megler ferry landing on the north side of the river. It is also about a mile west of Dismal Nitch, named by Lewis and Clark who stopped there for a couple of days before the party took a vote and moved back to the Oregon side of the River to Fort Clatsop.